“We can fix bugs in 30 minutes instead of 2 days. 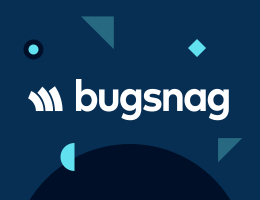 Our customers hardly see any bugs because we fix them right away.” Cut through front-end noise so you can efficiently assess the impact of your errors with Bugsnag. Try it free. A proposed format similar to RSS and Atom but in JSON. See the spec here. With yarn create, you’ll be able to start building apps more quickly, e.g. with yarn create react-app app-name. Now with support for ES6 class-based syntax. Starting points and resources for upping your D3 game. Using a Babel plugin called Runtyper. For building static sites or single page apps. A bit of an opposite to GopherJS. A server status page system built for use on AWS Lambda. In browser or on the server. More like this in today’s React newsletter. An app-aware network queue where requests are dispatched based on an assigned priority. P.S. And in this week's React newsletter, great stuff including What's New in Create React App and how to build a microservice with Node, React and Docker.